Although many women aspire to a gap between their inner thighs, health problems can arise when certain drastic measures are taken to achieve this, such as too much exercise, or fad dieting. When considering how to achieve a thigh gap fast, it is important to place your health at the forefront of anything you decide to do. In thinking about how to achieve a thigh gap fast, there are several important points to consider. A thigh gap is something you might commonly see in supermodels stepping down a catwalk - but in many cases these figures are not really what might be considered normal', and may be achieved by extreme dieting. Whether or not you have a gap is down to body structure. Women are genetically programmed to have hips which are close together. Under controlled eating and exercising, it is possible to achieve a thigh gap a the same time as keeping your overall weight at a healthy level. But an important point to keep in mind is that this will never happen overnight - this must be a long-term project. Never consider fasting. You can tone your thighs by doing butterfly stretches. This involves sitting on the floor, straight-backed. Bending your knees outwards, draw your feet close to your pelvis - without straining - and lower your thighs towards the floor. Hold for up to 10 seconds. Further advice about the range of exercise you can take can be obtained from your local fitness centre. 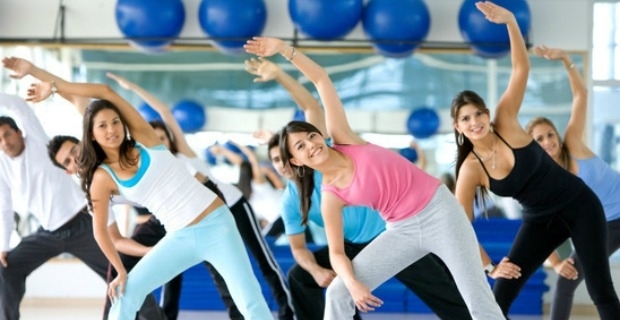 In planning how to achieve a thigh gap fast, you might also want to sign up to a regular aerobics class. Try and get 30 minutes of intense aerobics at least three times each week. As well as keeping you healthy, you'll tone your muscles and help yourself stay thin. You can also run, climb stairs, cycle or go swimming.